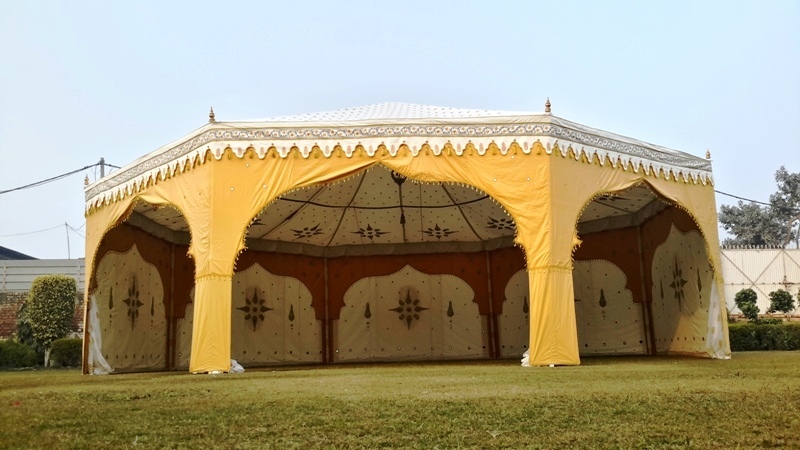 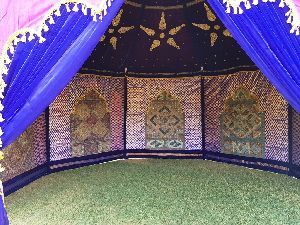 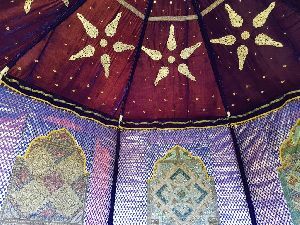 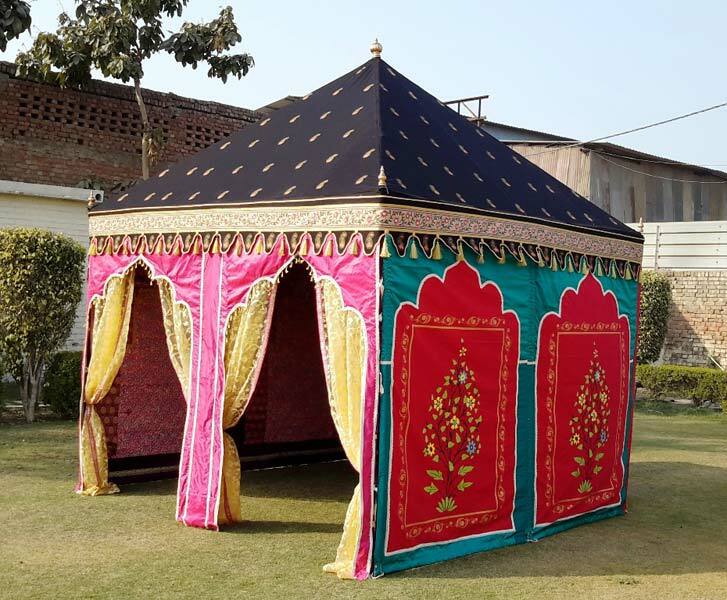 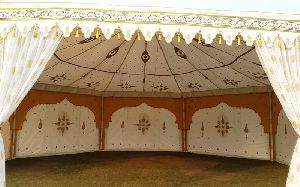 Wedding Arabian Tent is an octagon shaped tent with 8 sides based on Arabian theme. Our Tents have detachable walls with cotton sheeting. 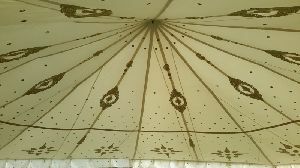 It is rot resistant. 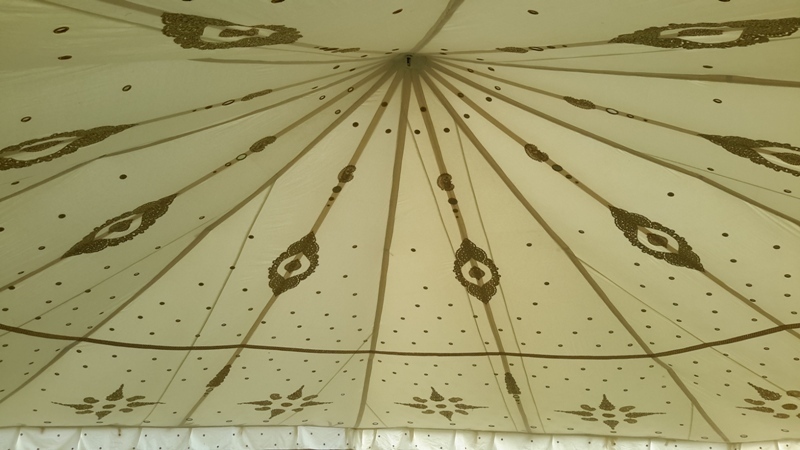 This Tent is supported by a metal pipe instead of a centre pole. We design Tents for corporate as well as traditional occasions. 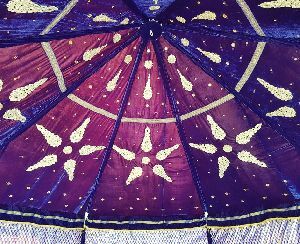 The cotton lining used has prints on them. 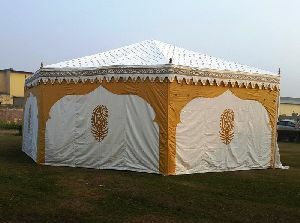 There is a cut in the Mehraab shape, which adds a touch of Royal Arabian era. 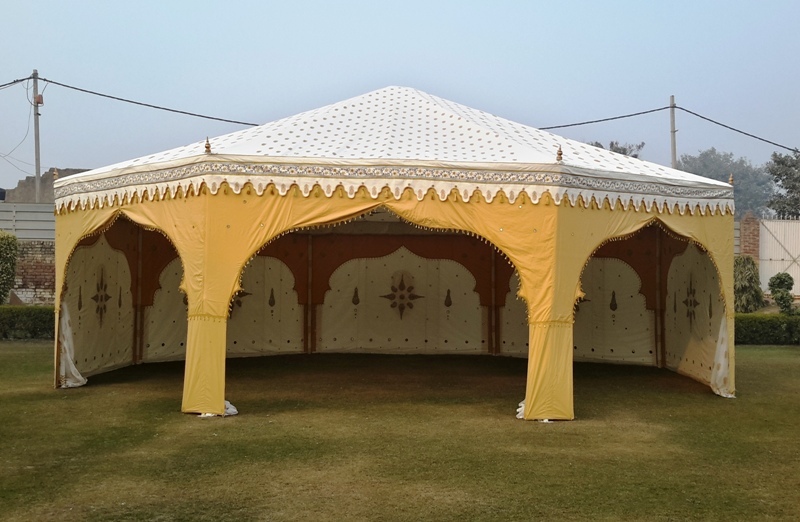 We provide swift delivery through our logistics system. 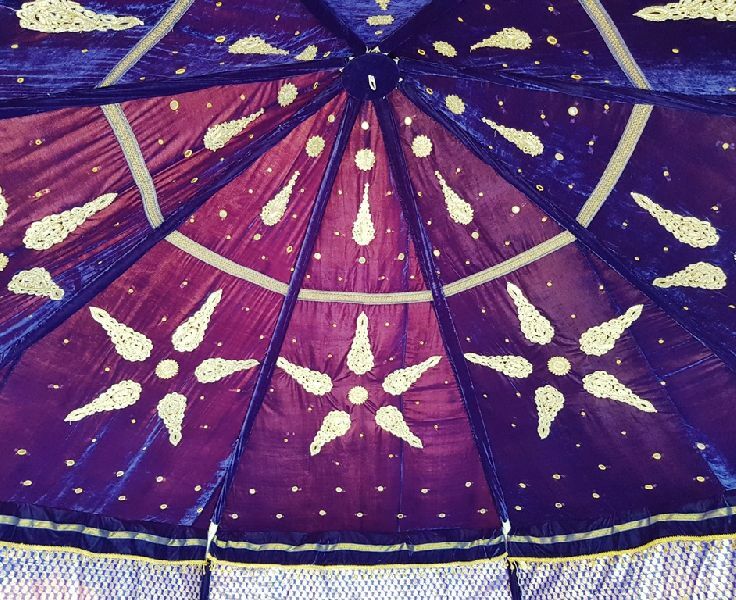 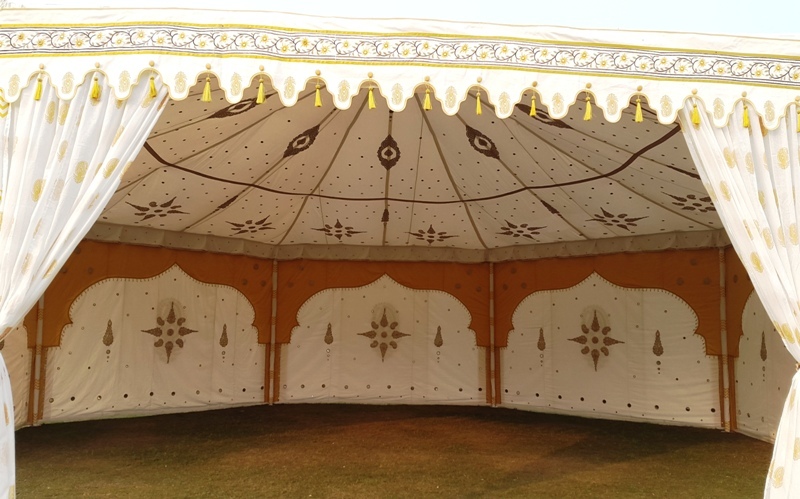 This tent comes complete with pole covers, carved wooden pole tops, tassels.